In the weeks leading up to Democratic Republic of Congo’s controversial election, those leaving power quietly passed two decrees guaranteeing themselves money and benefits that would ensure their financial security for decades to come. 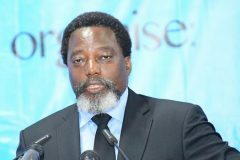 Ministers in the outgoing government of now ex-president Joseph Kabila awarded themselves « golden-handshake » benefits in two decrees which were passed on November 24, that safeguarded lifetime cash payments. It was a highly controversial move in a country where millions of people live on less than $2 a day, but it also came with a proviso: that former ministers are « banned from divulging or revealing secrets of state ». Outgoing Prime Minister Bruno Tshibala will receive a monthly housing allowance of $5,000 (4,400 euros) plus a separate monthly stipend — amounting to 30 percent of his current salary — for life. Such « advantages » for former prime ministers will be paid for by « the public treasury », it said. Tshibala will also have full-time bodyguards « for life », one plane ticket per year « in business class on international routes » and a new vehicle every five years. As news has spread about the payments on social networks, anger has grown. « It’s an unjust enrichment, an attempted robbery that must be punished » wrote one user, Emmanuel Tshamala. Former members of the government will also be granted benefits « at the expense of the public treasury ». Like the outgoing prime minister, they will receive a monthly allowance worth 30 percent of their current salaries and an international business class flight. They will also be granted a $1,000 housing allowance each month. In total, the decrees will benefit 47 outgoing ministers, 11 deputy ministers and two government secretaries, along with « personalities who carry out duties equivalent in rank to members of the government in the cabinet of the president of the republic and the cabinet of the prime minister ». The payouts are in addition to a one-off « leaving office » payment that all former government ministers receive, equating to six months of salary and benefits. « These decrees are scandalous and immoral. 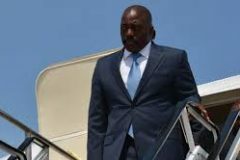 They must therefore be cancelled by the new authorities because these ministers have granted themselves undue advantages, » Georges Kapiamba, president of the Congolese rights NGO called Acaj, told AFP. The two decrees were published in the official government gazette on December 15, two weeks before the chaotic and disputed presidential and legislative elections that saw the first peaceful change of leadership since independence from Belgium in 1960. 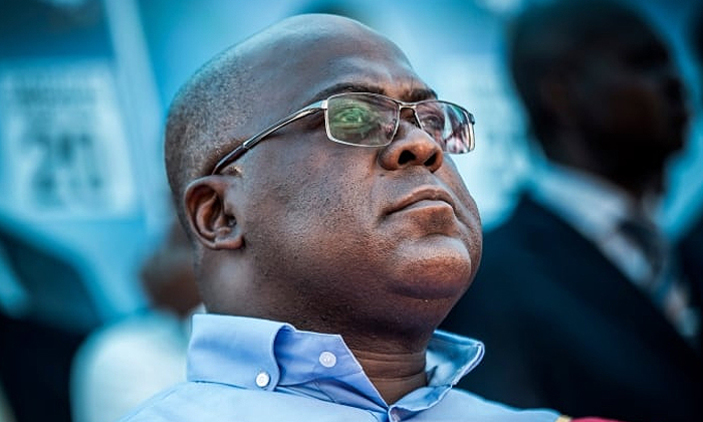 New president Felix Tshisekedi was sworn in last week but runner-up Martin Fayulu has dismissed the result as a stitch-up between Tshisekedi and Kabila, who ruled DR Congo for 18 years. DR Congo, the size of continental western Europe, has a population of about 80 million, according to UN estimates. It boasts a treasure trove of minerals, ranging from gold and diamonds to copper and coltan — a mineral essential for the batteries used in hand-held electronic devices. But very little of the wealth trickles down to the poor. DR Congo ranks a lowly 176th on the 189-nation Human Development Index compiled by the United Nations Development Programme (UNDP). Most people live on about $1.25 a day.